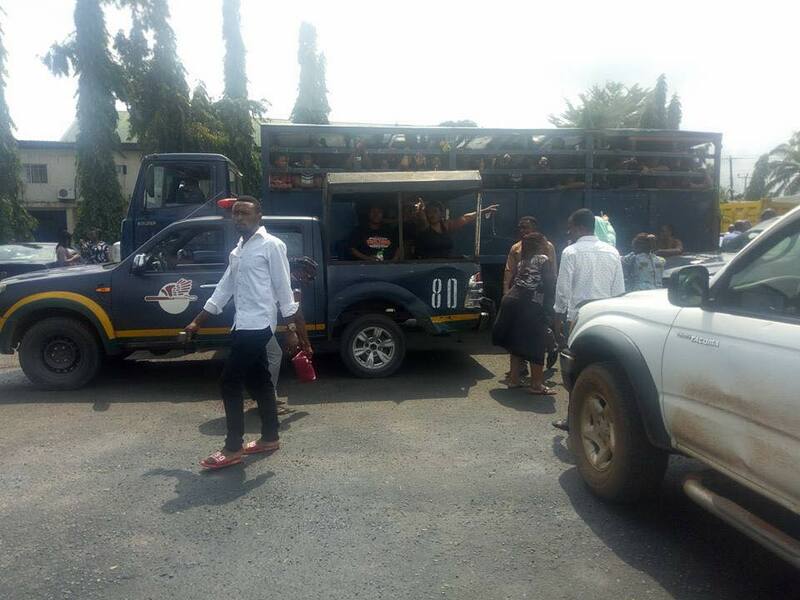 Owerri - Tension is very high in Owerri amid tight security as Imo state police command arraigned almost 100 Indigenous people of Biafra (IPOB) women in court. It will be recalled that the women (mostly mothers and grandmothers) were arrested in Owerri on Friday, August 18, 2018 while on a peaceful protest in demand of the release of their leader, Mazi Nnamdi Kanu whom whereabouts is still unknown after the Nigeria Army invaded his home on September 14, 2017, during Operation Python Dance 2. In a statement signed by Emma Powerful, IPOB publicity secretary, made available to The Biafra Times reads in part; We condemn the sacrilegious arrest, illegal detention and barbaric torture of grandmothers arrested and held in military custody by Nigerian soldiers and police under the most appalling conditions. It is unheard of anywhere in the world that old women, some of them grandmothers, were arrested by army or police, teargassed, locked-up and tortured for exercising their constitutionally guaranteed right to peaceful assembly. Powerful also exposed plans by the APC Islamic government to intimidate and harass Biafrans, their women and the elderly. He also added that the abduction of grandmothers, some of them in their late 70s, is the worst kind of abomination and sound warning as he described the arrest of IPOB women as an invitation to anarchy because if by the close of business on Monday, August 20, 2018, IPOB will call for a civil uprising against the oppressors and their agents.